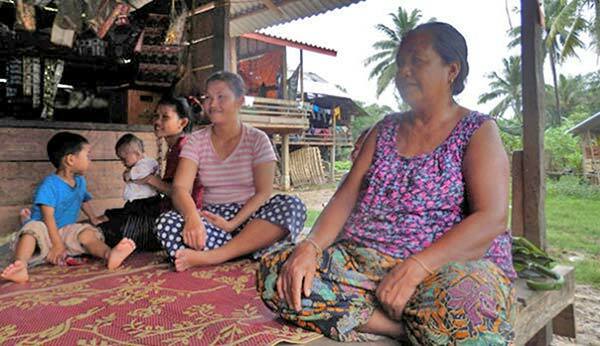 Sivanxai Phommalath (Laos) — Women struggling for human rights"
Sivanxai Phommalath demands compensation for seized land and finds herself in the crosshairs of police and financial interests. LIKE MANY PEOPLE IN RURAL SOUTHEAST ASIA, Sivanxai Phommalath, 35, made a living from the land, selling vegetables from her kitchen garden at a small stall by her house. That was until big development money came to the Yommalath district of Khammuane province, central Laos, where she lives. In a story often repeated in the developing world, the totalitarian government of this impoverished nation undertook a massive project—the building of the Nam Theun II dam—to generate electricity and foreign currency. The local population was relocated to other grounds. Corruption, mismanagement, and abuse from local police swiftly followed. Phommalath’s family of three saw their plot of land expropriated, along with that of her neighbors, and they accepted an offer of compensation that turned out to be deceptive and inadequate. Phommalath has said that most of her neighbors who enjoyed "good connections" with the authorities left the area after receiving plots of land and compensation. But she does not have such useful connections. She owned a second plot of land nearby, but officials came back and declared that the initial compensation settlement of about $900 now covered that land as well. The second plot had been earmarked for the construction of a major road, the officials said. This time, Phommalath decided to demand compensation “at market prices,” she said. In November 2012, she heard that help in the form of advice was available if she and other villagers traveled to the neighboring province of Savannakhet on Laos’ border with Thailand. The trip was in vain, as no one showed up at the meeting place on a bridge over the Mekong River. “We all returned and I did not think it was a serious issue,” she said to RFA at the time. But once back home, the group was arrested. After one night in the old French colonial jail of Thamkhikai, the other villagers were soon released. She was not set free. She was neither charged nor sentenced. “I heard the police asked each other what charge they will give me. They talked about ‘creating unrest’ and ‘leading villagers to protest.’ Then I was locked in the jail,” said Phommalath. That’s when the mother of a toddler, with only a primary education, got scared. She burst into tears. Locked up behind high walls, deprived of natural light and family visits, manufacturing wax flowers and eating prison food, she was held for close to three months without charge. However, she was repeatedly questioned about the identity of the “high ranking official” she had meant to meet in Savannakhet but who failed to show up. “The policemen often asked me to name the official that we went to meet in Savannakhet province. But I do not know his name,” she told RFA. On Feb. 8, 2013, she was asked to pay a fee of 700,000 kip ($88), promise not to take part in "unlawful" actions and let go. “I do not understand why the police arrested me, because what I have done is only lead people to a meeting to get help,” she said. Laos, which is a large beneficiary of international assistance, has a difficult relationship with Non Governmental Organizations (NGOs.) In early 2014, the government introduced a new set of restrictive regulations that were severely criticized internationally. The country is also under diplomatic pressure because of the unexplained disappearance two years ago of social activist Sombath Somphone. Somphone, 62 at the time, was a winner of the prestigious Magsaysay Award for his work on participatory development issues. For Phommalath, the prison stay was an eye-opener. She emerged from jail no longer prone to crying and no longer afraid. She was now referred to as an “activist” in media reports. “I will move out of my land if I get fair compensation. If not, I will not leave, even if I am arrested again,” she said in August 2014. 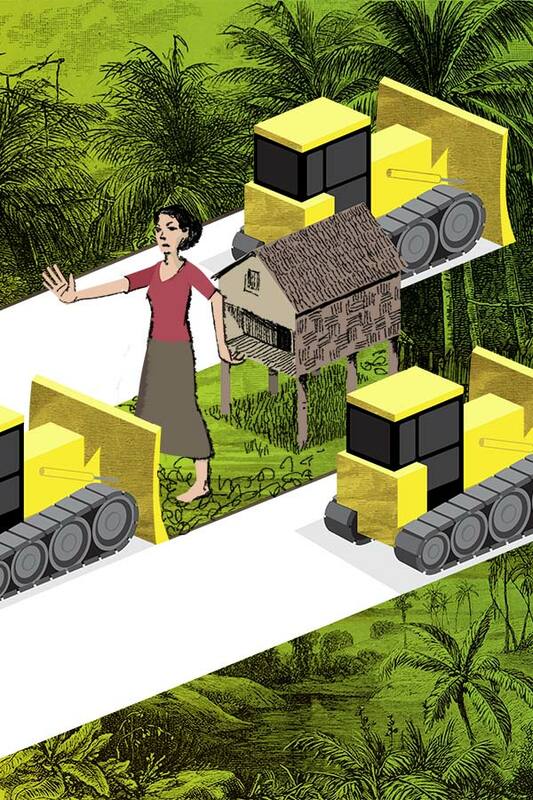 She even started to build a new house on the second plot of land, confident in her rights and comforted by the fact that she pays property taxes on that land every year. So far, no one has bothered her again. But for how long?